I’m drawn to this game for a couple reasons: It looks cool, and when I say “looks” I’m referring to the bright and shiny artwork; the game looks fun, too. Card-based area control, with some intrigue and influence tossed in for good measure. 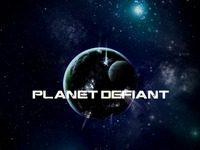 Galactic exploration for the sake of the future of Earth’s population…in a board game. Lots of cool plastic minis included in this one. So if that’s your thing, check this one out! It’s a bit pricey though, so be ready. 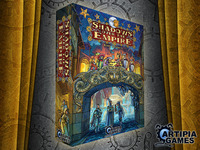 The campaign ends Oct. 20, and an $80 pledge get’s you a copy of the game. You can check the campaign out right here. Because we needed another deck of cards to help us play Mafia and Werewolf, there’s this campaign. 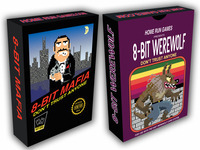 The good news is, it’s 8-bit type of fun, and it’s an inexpensive campaign to jump in on. The bad news is, it’s another Werewolf/Mafia iteration. Let us know what Kickstarters you’re backing in the comments below, or connect with us on Facebook, Twitter, and Instagram! Hey, this is the Ninja Dice designer. Thanks for the write-up! Sure thing! 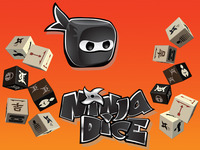 Ninja Dice looks really cool, and very unique! Best if luck with the campaign! How would you like to help promote the game further by doing an interview with us here on Theology of Games? Email me if you’re interested! Email me at me@privetera.com and let’s set it up!